The Hop Pocket Shopping Village is a unique collection of independent shops spread over a number of old agricultural buildings. 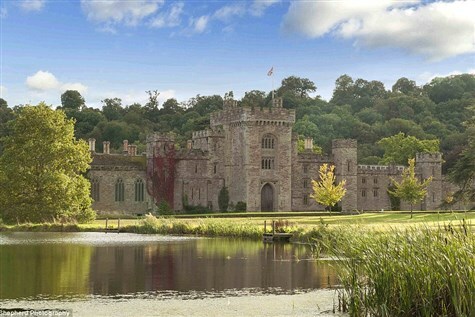 The wonderful 15th century Hampton Court Castle and its award winning gardens is surrounded by 1000 acres of stunning parkland, pasture and woodlands with the River Lugg running alongside. See the medieval Conningsby Great Hall, original Chapel, stunning Ballroom, Library and a selection of the sumptuous bedrooms. The 12 acres of gardens include a maze, Gothic Tower and secret tunnel to a waterfall. The Ornamental Kitchen Garden is both beautiful and productive and visitors can sample its delicious organic produce in the Orangery restaurant.